Volatility evaporated from the market this month. Because of the lack of stock market movement there were no daytrades and very few swing trades. When volatility returns, trading activity will pick up. The intraday systems had a profit overall. The swing systems had large losses. I will be releasing new swing systems shortly (probably next week). We went from the white knuckled grip of a bear market in December to a “meh” January. With the change of direction from the Fed and improved breadth in the stock market, we may continue the bullish grind for a while….until the next shoe drops that scares traders. To say it was a volatile month might be an understatement. 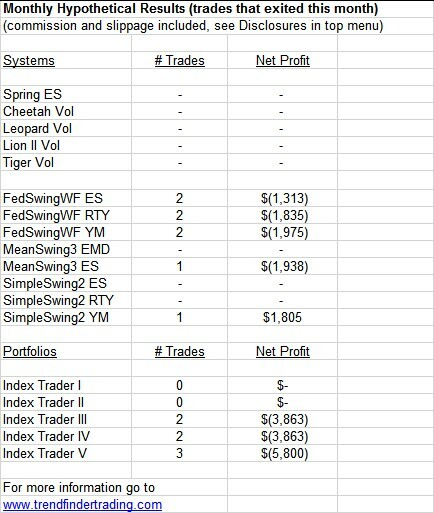 Not surprisingly, the intraday systems overall had a gain for the month, and the swing systems overall had a loss. 2018 will probably be remembered for many years to come. It was an historical year with lots of unusual/rare price movements and politics. 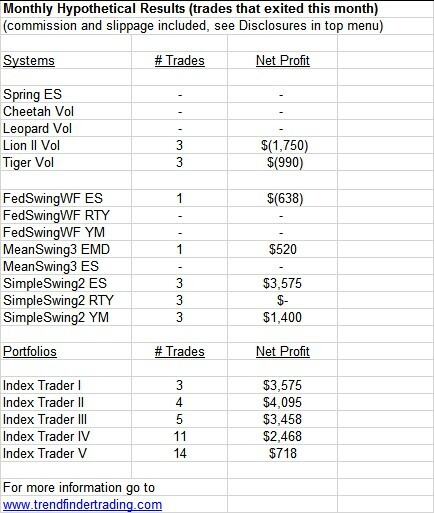 For these systems, I am very glad to see the performance of the daytrading systems (especially Spring ES) and saddened to see the poor performance of the swing trading systems. It certainly appears that the mean-reversion character of the stock indexes for the past 20 years has changed. Also, the magnitude of swings has increased such that stop losses are getting hit too frequently. I’m working on new swing systems or filters to use, and will utilize them as soon as testing is complete. 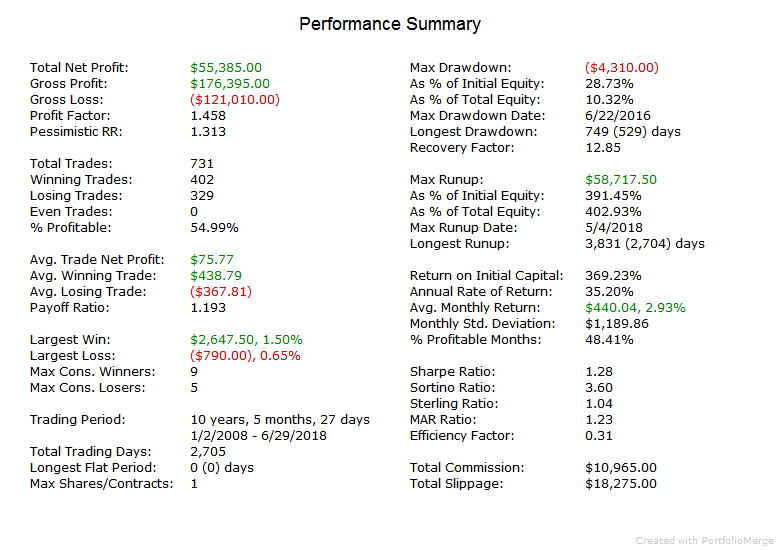 The daytrading systems had a very profitable month, and the swing systems had mixed results. The market seems like it is getting squeezed between the Fed reducing liquidity yet possibly slowing rate increases, and economic growth slowing with tariff uncertainty yet stock prices wanting to rebound. We shall see if the market picks a direction after the G20 summit this weekend. This was a month for the record books. We had a pretty large and fast market drop but didn’t have as much of a volatility spike in the VIX as previous selloffs. Also, media coverage wasn’t nearly as high as previous selloffs. Maybe this due to all of the political theater, but it also may be representative of complacency. It doesn’t seem to me that this is another dip like the ones we’ve had in the bullish move up since 2009. The market is not acting the same as it has in the past. Of course, this is always true to an extent, but my personal opinion is that this time it’s different. This month the swing systems had large losses and the intraday systems had big gains. 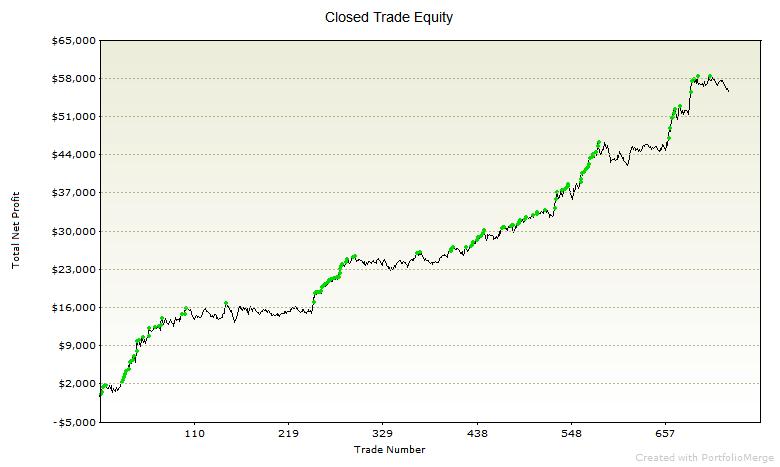 Since February, I have shifted my trading system development to intraday trading systems and option trading. I have released 2 intraday systems this year and hope to have more before the end of the year. 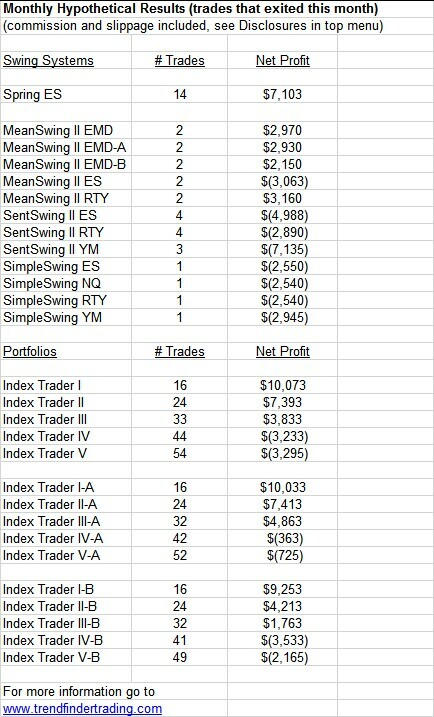 I have already closed the Index Swing portfolios, and going forward I may even discontinue more of the swing systems. In addition to the stock indexes, I am working on systems for other futures as well. 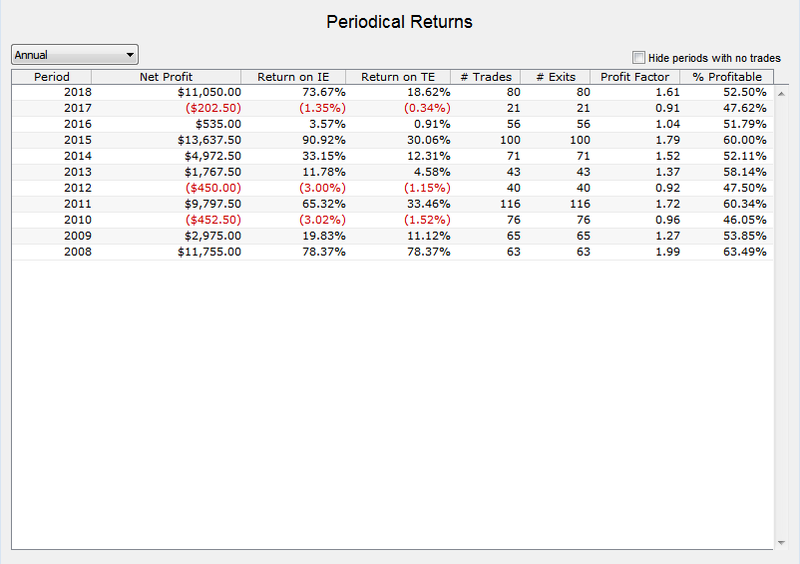 Going forward, I am looking to keep overnight risk down and get more diversification from other markets. It was a nicely profitable month. 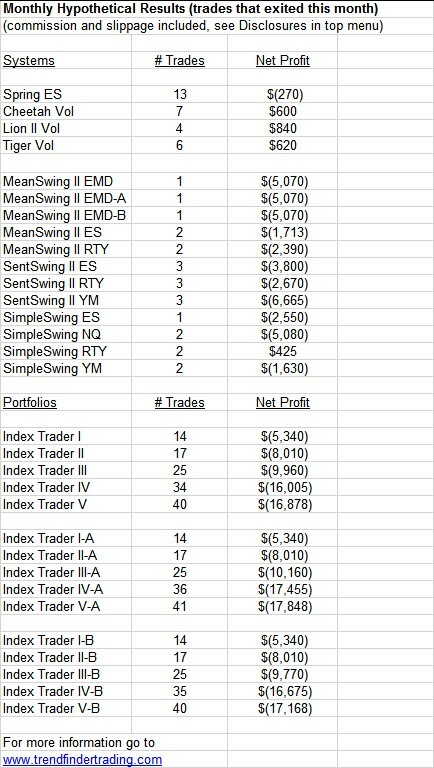 Almost every swing system that traded had a profit. Two intraday systems had trades and were profitable. Every portfolio was profitable.